Lorain, OH, Canada, August 8, 2016, Hilaire Tavenner, Author and Writer of Dutch Ink Publishing, has been recognized by Elite Women Worldwide, for dedication, achievement and leadership in writing. Dr. Tavenner had lead an extraordinary life, from her time as a Franciscan nun, to teaching in schools and currently public speaking and writing. She has published more than seven books, ranging in topics from her experience as a nun, to her journeys abroad and on various saints and public figures. It is on these topics that she publically speaks. She started her publishing company, Dutch Ink Publishing in 2000, where she writes and self-publishes her work. 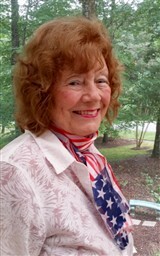 Williamsburg, VA, July 22, 2016, Marilyn Shafer-Asprey, Author, has been recognized by Elite Women Worldwide, for dedication, achievement and leadership in writing. 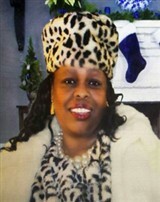 Mobile, AL, June 2, 2016, Maxine Williams, Educator and Evangelist at Mobile County Public School System, has been recognized by Elite Women Worldwide, for dedication, achievement and leadership in education. Location: Whitehill, Hampshire, United Kingdom, as well as a global reach. From December 11, 2015, Susie Briscoe, Chairman and Chief Executive Officer of Acer Coaching Associates, has been recognized by Elite Women Worldwide, for dedication, achievement and leadership in consulting and coaching. Ms. Briscoe offers a wide range of services as an accredited coach, which span from aiding young professionals to professionals looking to retire. She specializes in helping others by supplying the tools they need to build their careers and overhaul or change the path of their lives. On top of the administrative duties of being CEO, Ms. Briscoe serves her clients to ensure they will reach their professional and personal goals. Not only is she available for coaching in person, but Ms. Briscoe offers her services across different platforms such as teleseminars, webinars and bespoke programs. She has also co-authored two books that aim to help others. The books, “My Creative Thoughts” and “Ready, Aim, Thrive,” reached the International number one spot in Australia, the United States, Canada and the UK. Her passion is to help her clients recognise what is important to them with regard to their legacy and life purpose –linking their “Philanthropic Passion to their Legacy Mind–set” – the footprint they will leave behind them for their heirs – as well as understanding the importance of their own heritage. West Malling, United Kingdom, January 7, 2016, Christel Holst-Sande Cowdrey, Writer, Screenwriter, Speaker, Voiceover Artist, Wedding Business Owner at Noblesse Group, has been recognized by Elite Women Worldwide, for dedication, achievement and leadership in entrepreneurship, entertainment and hospitality. Distinguished for more than 26 years of professionalism, Ms. Cowdrey owns and operates a hospitality company as well as her involvement in the entertainment industry as a screenwriter, voiceover artist and speaker. Her company specializes in granting dream weddings to couples. In addition, the company provides the services of Noblesse Interiors and Noblesse Retreats. 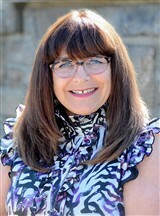 Ms. Cowdrey is also an author of ‘Imagine a Healthy You,’ and provided the voice work for the audiobook version of it. Fort Worth, Texas, January 4, 2016, Linda LaRue Austin, Freelance Writer, has been recognized by Elite Women Worldwide, for dedication, achievement and leadership in writing services and entrepreneurship. For more than 34 years, Ms. Austin has parlayed her experience to her passion for writing. She became an ordained pastor in 1970 which led to her interest in writing, and in 1990 she took writing classes to fulfill that curiosity. Since then, Ms. Austin has worked and retired as a writing instructor and educator, and now focuses on writing manuscripts and novels. 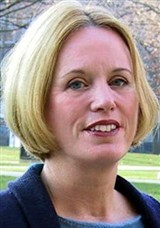 Gregory, MI, December 2, 2015, Bobbi S. Low, Professor with the University of Michigan, has been recognized by Elite Women Worldwide, for dedication, achievement and leadership in environmental education. An established expert in evolutionary and behavioral ecology, Dr. Low became interested in her current line of work while she was studying biological systematics as an undergraduate student. After completing a Ph.D. through the University of Texas in 1967, she traveled to central Australia to research optimal foraging in kangaroos and their behavioral ecology, prior to returning to the United States. For the past two decades, Dr. Low has served as a professor at the University of Michigan, during which time she has mentored nearly 100 doctoral and master’s students. Eve Taylor is an evangelist, motivational speaker, writer, life coach, humanitarian, teacher and trainer who is noted for her positive attitude, passion and perseverance. She is also the founder and president of Discover Your Why Leadership Consulting. Ms. Taylor has made a name for herself as someone who is able to help others identify God’s purpose for their lives and achieve their goals through concrete steps and determination. She has also authored and published two books on this topic. Ms. Taylor holds a Bachelor of Business Administration in psychology from Miami Dade College, which she earned at age 50, and an MBA in human resources management and services from Strayer University, which she earned at age 56. She is now working on a doctorate in global leadership from Regent University. Prior to pursuing her current profession, Ms. Taylor worked for the local and federal government for many years, as well as for Fortune 500 companies. 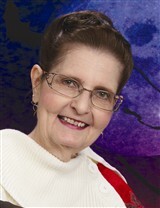 She looks forward to utilizing her skills and experience to continue helping others for many years to come.